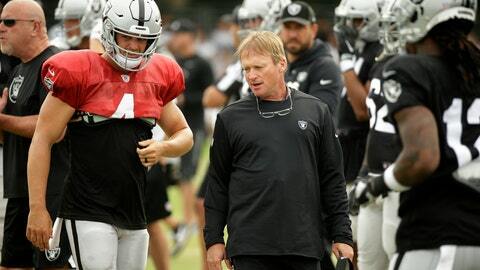 NAPA, Calif. (AP) — As much as he tries to downplay the significance, Oakland Raiders coach Jon Gruden is fully aware Friday’s exhibition game against the Detroit Lions will be anything but an ordinary preseason contest. Lions coach Matt Patricia developed a friendship with Gruden while he was defensive coordinator in New England and the Raiders coach was working at ESPN. The rest of the storyline around Friday’s game is fairly antiseptic. Quarterback Derek Carr and the rest of Oakland’s starters will only play a series or two, with the majority of playing time being doled out to the rookies and fringe players on the roster.